Now your brand new website should be up and running. Congratulations! 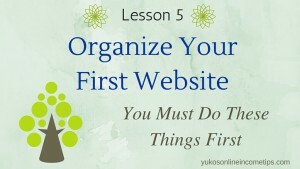 Today’s lesson covers how to organize a website for the very first time. We will delete unnecessary content that is there by default, set up the site ready for your own content, and add two essential pages: About Me and Private Policy. Be sure to go through these lessons first before you try today’s lesson. 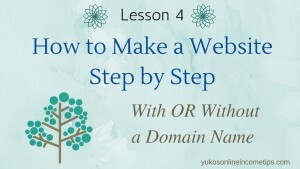 If you search on the web, you can find tons of companies that sell domain names (lesson #3) and provide services for hosting (lesson #4). My recommendation is to do the two not separately but in one place. Companies like HostGator.com or Namecheap.com provide both domain names and hosting. Unless you are a tech savvy person who already knows how to direct DNS to a host site, have your very first website supported by one company. It would make the beginning phase of your online journey less complicated. My #1 recommendation is Wealthy Affiliate University. They of course provide domain names and hosting, and not only that, they also offer you training on how to monetize a website AFTER you create one. Creating a website is not the goal of your business. It is merely the beginning. 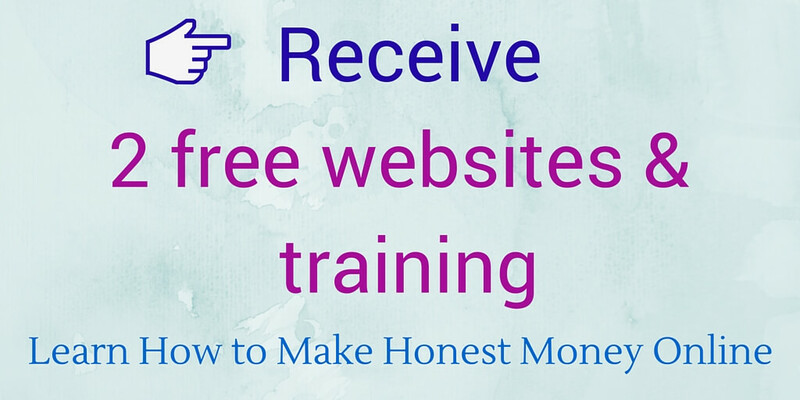 You have to learn how to monetize a website, and Wealthy Affiliate trains you through the process. If you wish to copy what I did and make the best out of this tutorial, first make a free account at Wealthy Affiliate (no payment information required) and come back. I use their resources in this lesson as well, so it benefits you to have access to their materials. Ok, back to today’s lesson. Today we are going to log into the admin area of our new site for the first time and do some cleaning and basic setups. I didn’t create them. 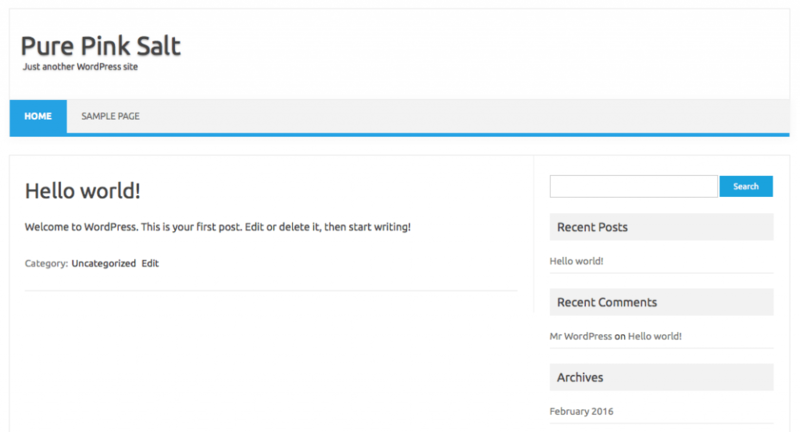 WordPress automatically added them only for example purposes. Before starting to add our own content, we need to delete them. Login to the back office (Dashboard) of your website and you’ll see a menu bar on the left-hand side in the dashboard. Watch the entire process in this tutorial video. 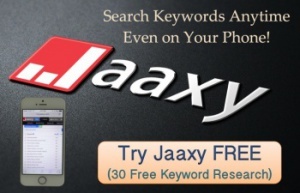 It shows how to navigate your website back office as well. Now your website is clean of dummy stuff and we are ready to add our own content. Content can be various things. They could be pages, posts, images, or videos, etc. At the beginning of your online endeavor, you’ll be mainly focusing on creating pages and posts. Both pages and posts are content in written format that you will be creating on your website. Posts, on the other hand, will flow through your website chronologically. As you create them, it goes naturally to your blog roll (stream) in chronological order. You can write various topics relevant to your niche as Posts. In my posts (blog) at PurePinkSalt.com, I’ll perhaps cover subjects such as Himalayan bath salt, lamps, candle holders, cooking blocks, cleaning gear or my favorite local shops that sell Himalayan salt. In pages, I plan to cover things like the origin, history, or health benefits of Himalayan salt. You can access to a template of Private Policy in the training at Wealthy Affiliate. Simply copy the statement and paste it on your page. NOTE: Just don’t forget to replace your actual website URL (domain name) with the “YOURWEBSITE.com” text in the template. In my case, I would replace my URL: PurePinkSalt.com. You can view my Private Policy page here. This is the page you introduce yourself to your readers. It’s a great place to connect with your audience so let them feel what kind of person you are. You can name this page either About Me, About [Your name], Who Is [Your name]? or something similar. Be creative! Your “About Me” page will evolve over time, so please don’t try to perfect it at the moment. 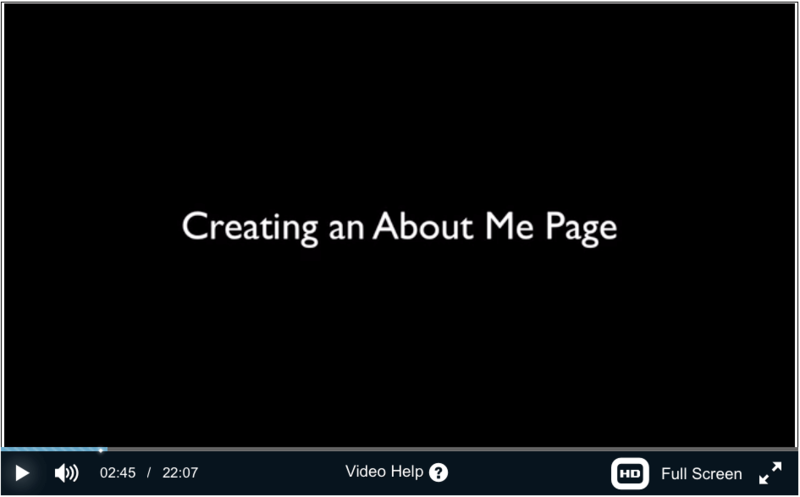 Watch this tutorial video as to how to create an effective About Me page. You can also view my “About Me” page here. That’s it! You’ve just added two new pages to your website. Pat yourself on the back, it’s a great achievement! You Now Have Two Items on the Menu Bar! Through this lesson you’ve learned how to organize a website fist time and add two static pages: Private Policy and About Me. 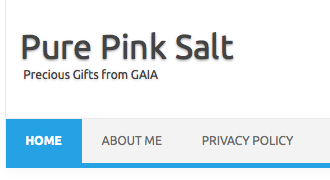 Once I completed those two pages on my new site, PurePinkSalt.com, now the menu bar looks like below. Again, pages you create naturally go to your main Menu by default. Later in this training series, we are going to learn how to organize the menu bar. Your website is coming along well. 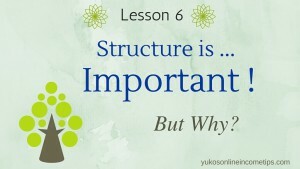 🙂 In the next lesson, we are going to work on your site structure (framework), and add an article that is relevant to your niche. I explain how to come up with content ideas, do research on them before you attempt writing an actual article. It’s getting exciting, isn’t it! I hope you enjoyed this lesson. As always, if you have any questions or comments feel free to leave them down below. Thank you! Be the first to comment on "How to Organize a Website First Time – Tidy Up!"